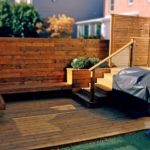 Discover the exciting world of outdoor living with the installation of custom decks or porch designs. By blending your vision with KP Construction’s state-of-the-art technology, your new backyard retreat will be the envy of the neighborhood. The planning process begins with a personalized design consultation, leading to an overview of the project details, and concludes with a cutting-edge 3D visualization. This advanced technology provides a photo-realistic image of the final project, so understanding your preferences and requirements are crucial components of the design process. To create the one-of-a-kind structure you envision, we’ll need to agree upon the following basic elements. 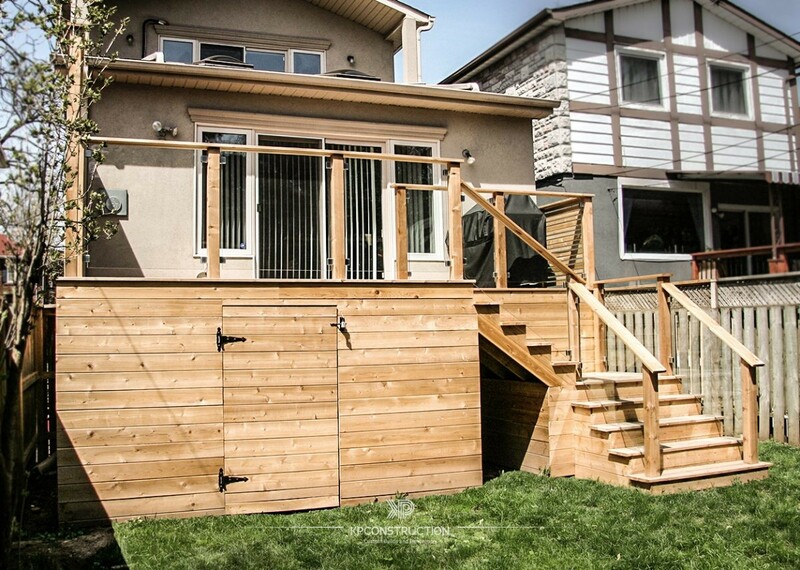 It is our goal to create structurally sound decks or porches that fit flawlessly into your property’s footprint. 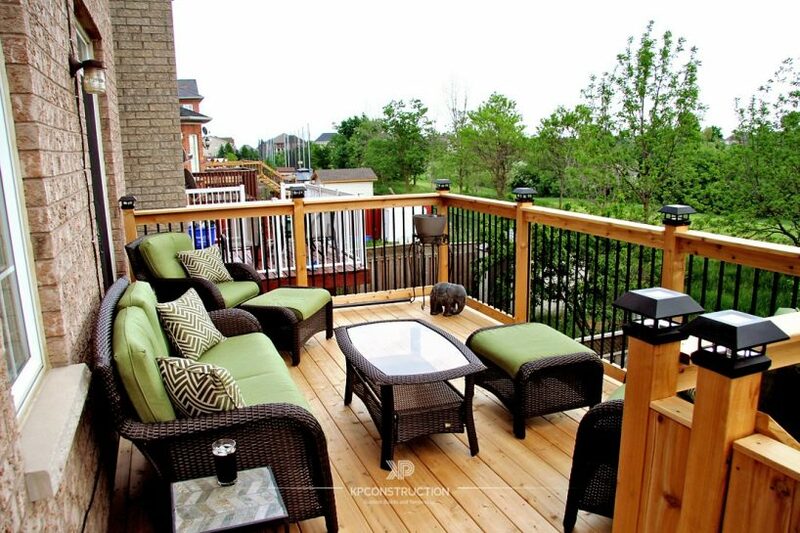 Our professional designer can provide guidance in selecting a single- or multi-level decks; help you determine if you want a simple deck design or a complex deck design; or if your budget permits, to take it to the next level with a luxury deck design. 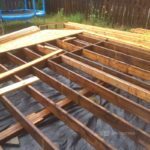 Most common decking choice. Made from Southern yellow pine, easy to install and the least expensive type of decking. Chemicals permeate the wood to prevent rot and insect damage. Should be cleaned and stained every two to three years. Life expectancy is 20 years. Extremely dense and durable. Have rich colouring and are highly resistant to insects and decay. Can be expensive and more labor intensive to install, as screw holes must be drilled prior to setting screws. Life expectancy is 25 years. Contain natural defences against insects and rotting. Red cedar is soft and easily damaged. Port Orford Cedar is lighter in colour, harder and the most wear-resistant cedar. Must apply sun-blocking protectant every few years to preserve natural colour. Life expectancy is 20 years. Made from a blend of plastic and waste wood fibres. Very durable, won’t rot or require staining. High-performance product, but more expensive than most woods. Special fasteners must be used, but some can be installed with hidden fasteners underneath so there are no visible screws on the face. Brazilian walnut is one of the densest hardwoods available. Ipé decks provide natural beauty and durability. It can withstand harsh climates, rot, insect damage and is mold-resistant. Tongue and grooved planks make it easy to install. 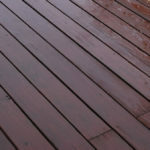 It is more expensive than other decking materials but should last a lifetime. Custom shiplap siding trim and moldings are also available. 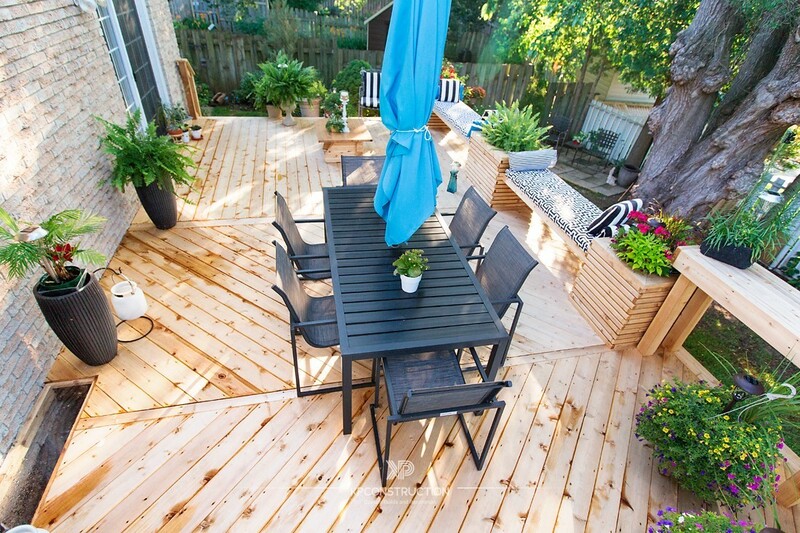 Imagine using your new custom-designed deck or porch. Will it be your private hideaway to escape from the busy demands of your daily life? Are you anxious to expand and enhance your living space for more family time? Or are you indulging your fun side and creating the ultimate destination for entertaining friends or business associates? 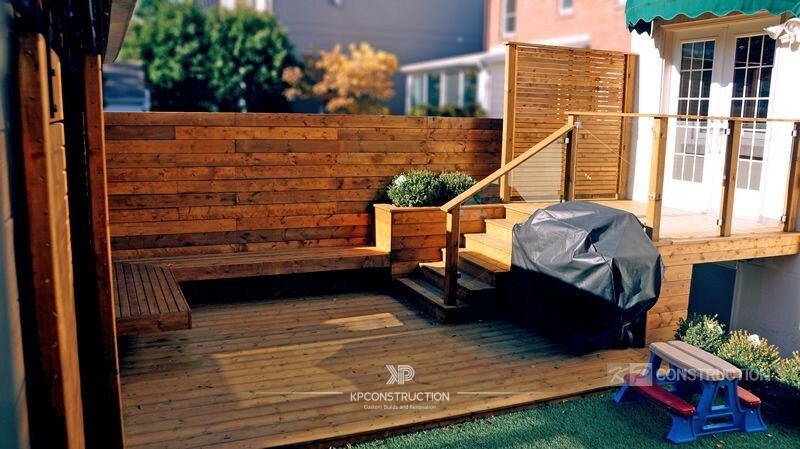 No matter its purpose or location, KP Construction experts will assemble your deck ideas and concepts to prepare an inspired design that matches your vision flawlessly. Now that you’ve made your selections and approved your concept, our design team will go to work to bring your deck design ideas to life in a 3D model. No more guessing if the flat, two-dimensional drawings represent what you really want. High-quality renderings are prepared so you can see exactly what your project will look like from every angle. Adjustments and modifications are no problem; in fact, we encourage you to put us to the test. Need a larger seating area? Want to incorporate a privacy screen behind your built-in grill? Why not add some hidden storage space underneath with a decorative skirt and access door? 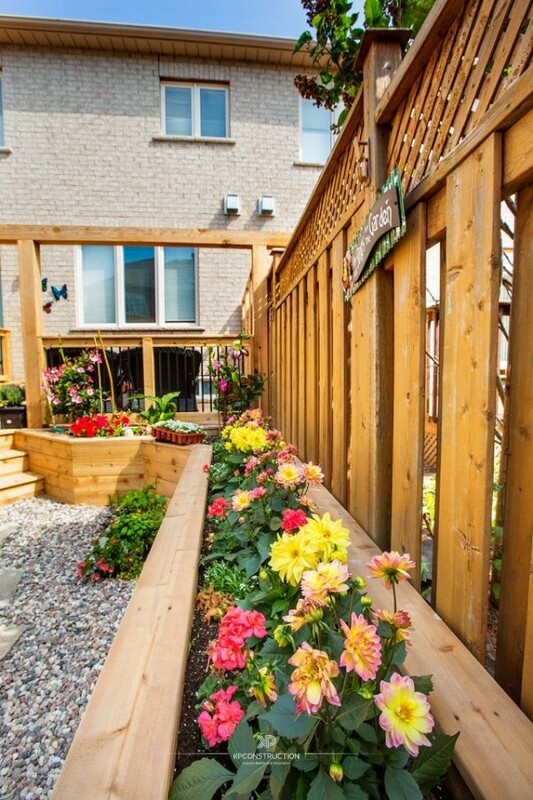 Won’t some ornamental planters blend the beauty of nature with the urban locale? And don’t forget to add some low-level lights for atmosphere and mini spots to illuminate all the decorative elements. Save time and money by making changes to the 3D model instead of during construction. At this stage of the process, our team will prepare a scope of work incorporating all your selections and provide a comprehensive estimate, so you’ll understand exactly what the project will cost. All prices are based on your personalized specifications and current local costs, so you can be assured your budget will always be maintained. When you’re satisfied that the final design meets your expectations exactly and have approved contract pricing, certified professionals will produce detailed architectural drawings for contractor use in applying for permits, ordering materials and the deck building process. What is the best flooring material for my backyard deck design? 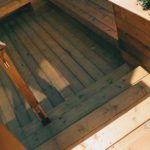 There are a variety of high-performance options available when determining which decking material to use. Recent technological advancements have added several low-maintenance products to choose from that provide long-lasting beauty. You should compare a product’s durability, maintenance, aesthetic appeal and price when deciding what’s best for your application. Can I choose the supplier that sells the deck components? 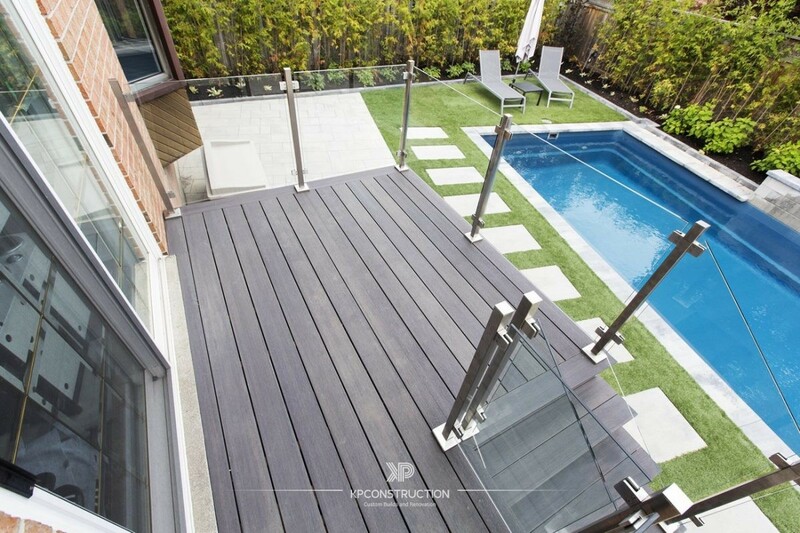 Absolutely, we welcome your input on where you’d like to purchase decking, hardware and specialty features. If you’re unfamiliar with where to obtain these materials, we’ll be happy to offer recommendations for suppliers that meet our high standards of excellence. Do you have insurance and do you provide a warranty? Yes, KP Construction holds liability insurance with coverage up to $5,000,000. For additional peace of mind, every project we do comes with 3 years warranty on decking and finishes, and 5 years warranty on structural. Have more questions? 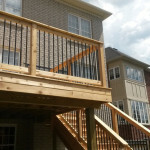 Do not hesitate to ask us before you proceed with your custom deck project! Excavation of the proper diameter holes to a minimum depth of 4′ below grade, and pouring concrete footings. Lag screws are securely attached to the house, the main support beam is set, joists are installed and rim board attached. 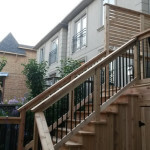 Installation of railing posts, stair stringers, intermediate joist blocking and frame for the skirt. Pergola posts will be installed at this time, if included in your design. Configuration layout is based on your selection – parallel to the house, perpendicular or diagonal. On-site picket installation or pre-fabricated railing sections are attached to the frame. If your plan includes a privacy screen and/or pergola, these will be assembled at this time. The framing is concealed with a wooden skirt for a clean finish.